Major League Baseball is rolling into the third full week of the season as the weather starts to improve a bit as Spring comes to more of the northern part of the country. Depending on how your league lock is set up, you may need to get your waiver wire work in early because the first game of the week is scheduled to start at 11:05 a.m. ET as the Red Sox host the Orioles on Patriots’ Day. There are some nice possible additions to make to give your team a boost depending on whether you’re in search of an arm or a bat to boost your production. Most teams are scheduled for six or seven games this week with the Astros and Pirates the only teams scheduled for a pair of off days. The following four picks are widely available and can give you a nice boost this week. If you’re in a more competitive or active league, I’ve also included some other options at the bottom of the page who can also be nice pickups. 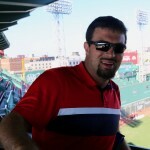 If you have specific questions about your roster or league format, I’d be happy to answer them on Twitter @ZT_Sports. The Red Sox have not been clicking on all cylinders yet this season, but they would be much worse off if Moreland hadn’t come up with some key hits. The left-handed hitter has been slotted in the heart of the Boston lineup and has been providing plenty of pop. He does sometimes take a seat against southpaws, but puts up plenty of production when given the chance. He is 13-for-47 (.277) in his first couple of weeks of the season with five doubles, five home runs, 12 RBI and a 1.048 OPS. He went 0-for-3 Saturday, but before that had gone 6-for-17 with two doubles and three homers in his previous four games. Especially playing with the short right-field porch at Yankee Stadium for a couple of games, Moreland makes sense to give you some power off the waiver wire. The Braves have gotten off to a strong start and are near the top of the NL East, which should be an entertaining and exciting division to watch all season. The pitching staff has several nice options to take a look at, including Max Fried, who has a nice two-start week, and A.J. Minter, who will be the closer for Atlanta while Arodys Vizcaino is on the injured list. Depending on what you need, though, one of the most exciting pitchers to target is recent call-up Touki Toussaint, who has electric stuff and a sky-high ceiling. Toussaint came out of the bullpen and replaced a struggling Sean Newcomb in the second inning against the Mets Saturday night. He went on to pitch six shutout innings, holding the Mets to only four hits while striking out seven. The Braves optioned Newcomb to Triple-A after the game and put Toussaint into their starting rotation. The hard-throwing 22-year-old is scheduled to make his first start Thursday in Arizona and looks to be ready to be a key part of the rotation. The Tribe added CarGo late in Spring Training, so he started the season with the Columbus Clippers in Triple-A. He went 8-for-23 with a double, home run and 1.004 OPS before getting called up prior to Cleveland’s game on Sunday against the Royals. Not only did González jump right into the lineup, he hit third and went 1-for-5 with a run scored in Cleveland’s 9-8 loss. González should get regular work, especially against righties. Last season, he hit .284 with a dozen homers and an .829 OPS against RHP. He had 40 homers in 2015 and 100 RBI in 2016, although part of that production was due to playing his home games at Coors Field. 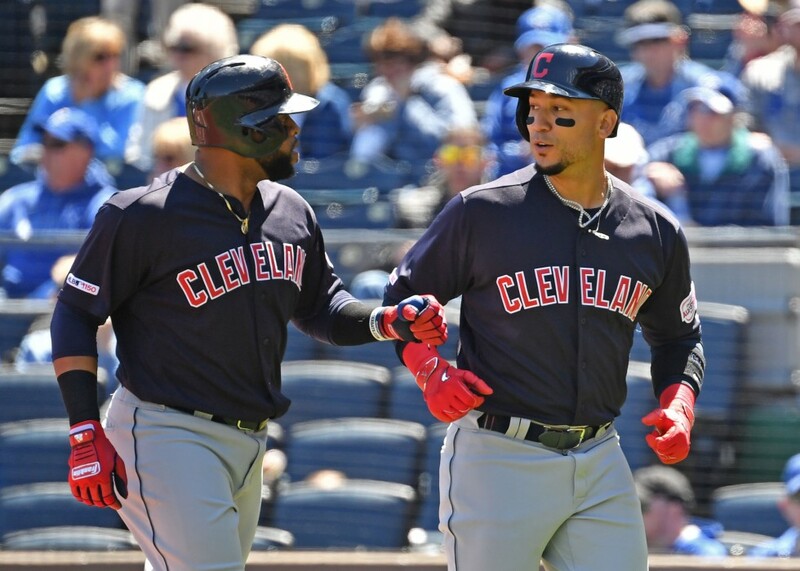 The Indians are hoping he can bounce back and give them a middle-of-the-order bat in their anonymous offense that lacks much star power with Francisco Lindor (ankle) still out and José Ramírez off to a slow start. González should get his chances in good run-producing spots in the upcoming week. The Padres have gotten three strong starts from Margevicius, who has allowed exactly one run in each outing. The 22-year-old lefty has made two strong starts against the Giants and also looked good on the road in St. Louis. Margevicius could end up with a pair of starts this week, both coming at pitcher-friendly Petco Park. On Tuesday, he’ll face the Rockies, who have been scuffling at the plate, scoring just nine runs in their past five games. He could come back for a second start against the Reds or be in position to make a pair of starts the following week. Margevicius has 12 strikeouts in 16 innings with an impressive 1.69 ERA and 0.63 WHIP.